Scoil Cholmcille presented with a new picnic table courtesy of Letterkenny Tidy Towns Committee. We made windmills for a science project! Using the interactive whiteboard during Maths Week! Receiving our 8th Green Flag! Mrs. Kelly taught us how to bake! Releasing blue balloons for Friendship Week! Using a school laptop to research my project! Look at us doing our 10 @ 10! Getting trophies for 9 gold stars for good behaviour! Learning about the life cycle of a frog. Doing our exercises for the 10 @ 10! 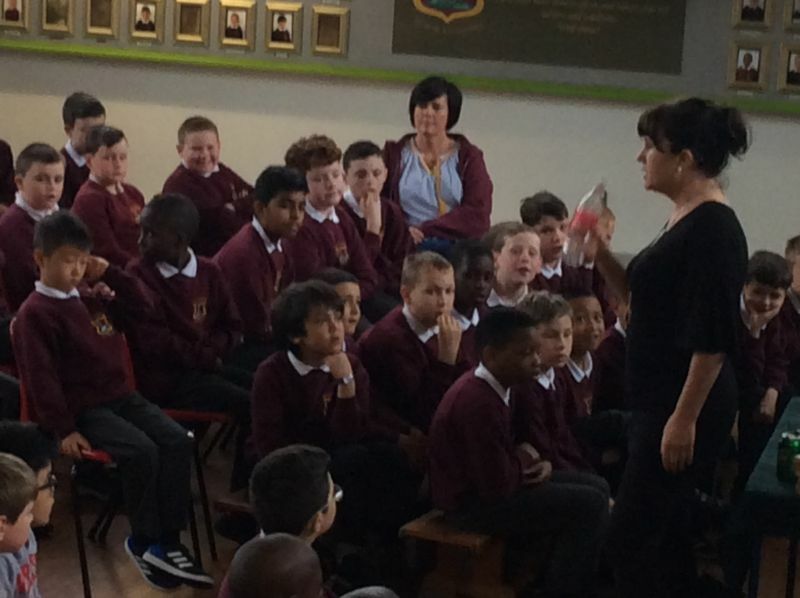 RTÉ 1 visited the school for our 10@10! Copyright © 2019 Scoil Cholmcille, Convent Road, Letterkenny, Co Donegal, Ireland. All rights reserved.